We have 26 Letters in English. But before 1947, we had only 24 letters. Do you know why? 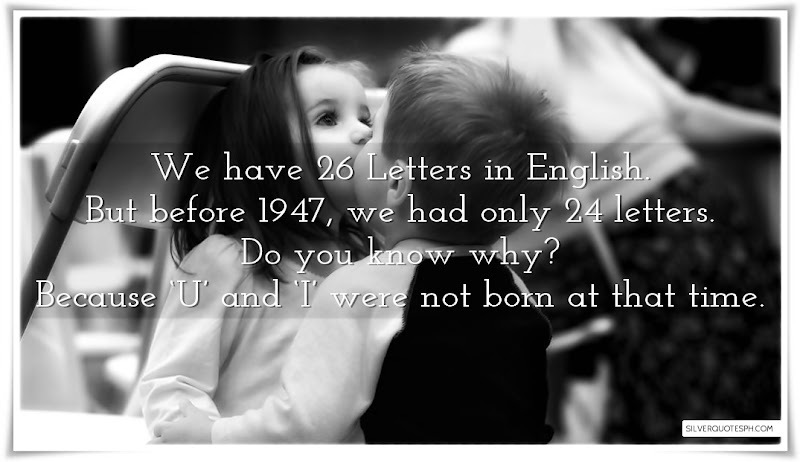 Because ‘U’ and ‘I’ were not born at that time.